Callie Leuck | Write On! 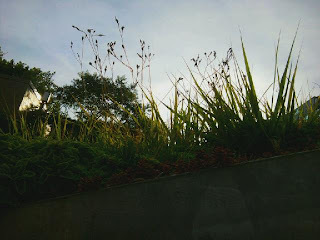 : Green Roof! I want a green roof. I recently had the opportunity to tour the American Society of Landscape Architects (ASLA) Green Roof with my nature-writing graduate class. Keith Swann, a Johns Hopkins grad who now works at the ASLA, was kind enough to give us a presentation on the ASLA green roof project, answer our questions, and give us a tour of the green roof. Anyway, there's all sorts of science, sustainability, and District of Columbia politics that are involved. I will try to expand on that in another post. 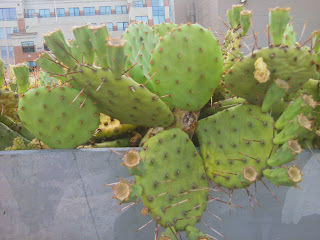 My main point is this: the green roof is so cool! I want one! I was not expecting anything particularly fabulous when I heard "green roof." I expected, at best, some grass and stuff to cool down the building and get green cred. I did not expect a stunningly beautiful paradise hiding out on the roof. The green roof has a "wave" (looks like a hill) on each side. 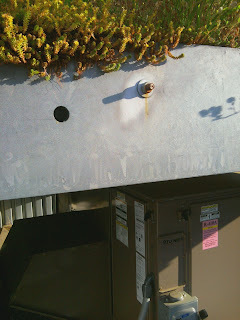 The left "wave" of the green roof. I want to eat my lunch up here. 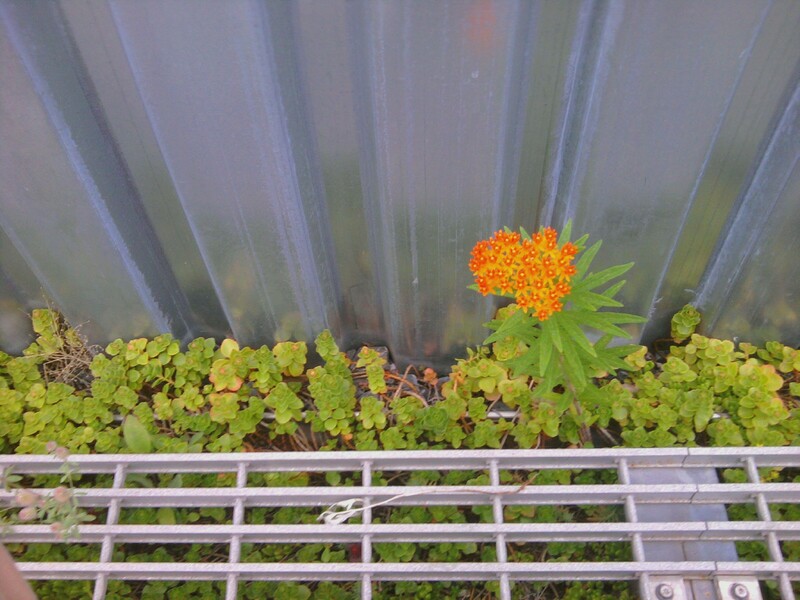 The right "wave" of the green roof. Looking up from the side of a wave. that it is built over some building equipment. right wave of the ASLA green roof was cacti. So now I'm wondering what I have to do to get one of these roofs! USA Today: Anatomy of a Green Roof - This shows the basics of a green roof, diagrams of the ASLA green roof, and some interesting pictures/blurbs of green roofs around the world. 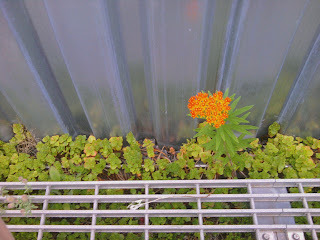 Video Tour of ASLA's Green Roof - You can watch this 2-year-old video to see the basic tour of the green roof I saw. ASLA Green Roof - View the case study of the ASLA Green Roof, performance data, and resource guides. 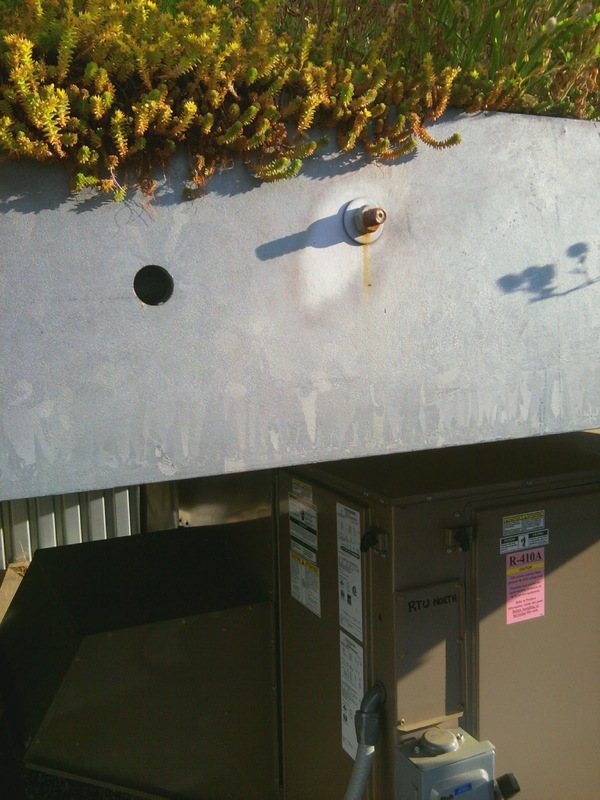 Have you seen any cool green roofs? Do you want one?